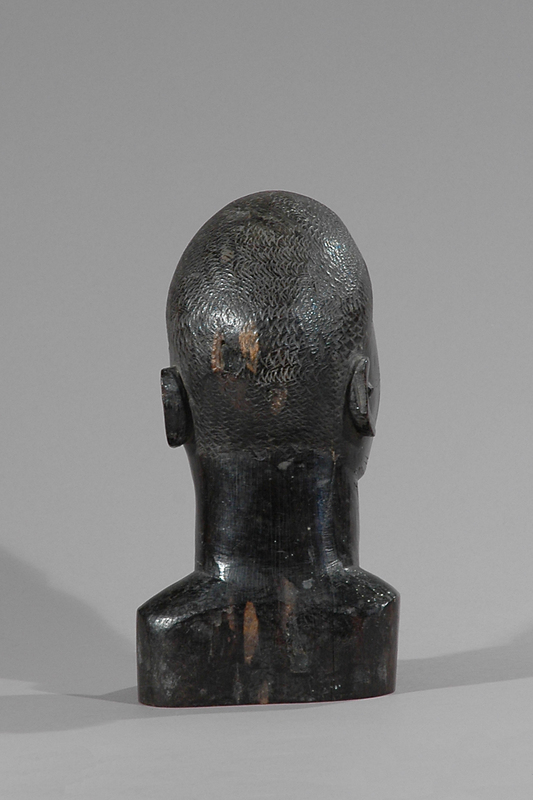 This marvelously carved male head is probably done by a Makonde artist in Tanzania with the purpose of selling it to the white people. 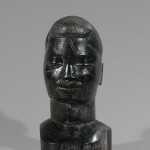 Later it was purchased at a Paris gallery in the 1960s by a Danish collector. 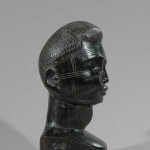 Until 2012 it has been in the collector’s possession. 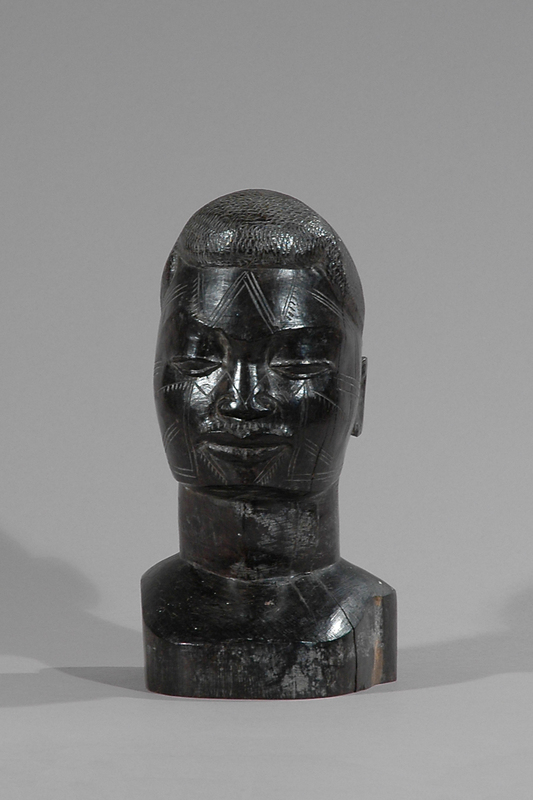 The Makonde are known as master carvers throughout East Africa, and their statuary can be found being sold in tourist markets and in museums alike. 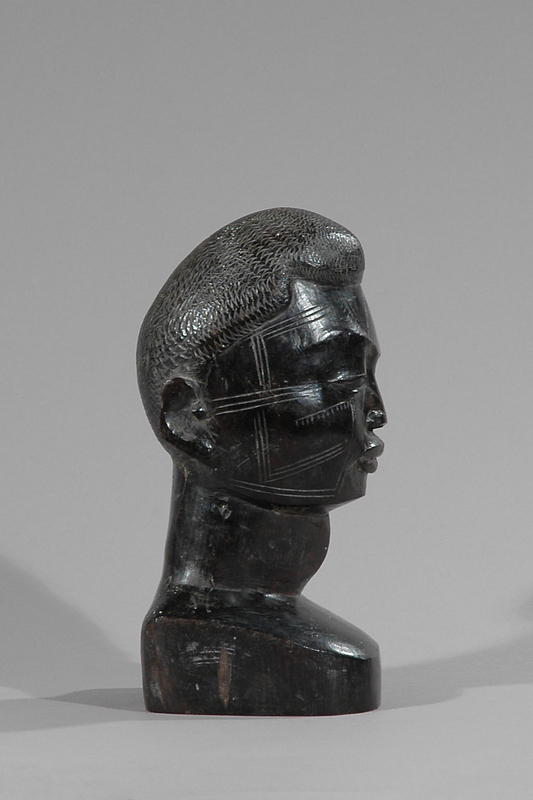 Already in the 1930s African image carvers made art, which they sold to the white man. 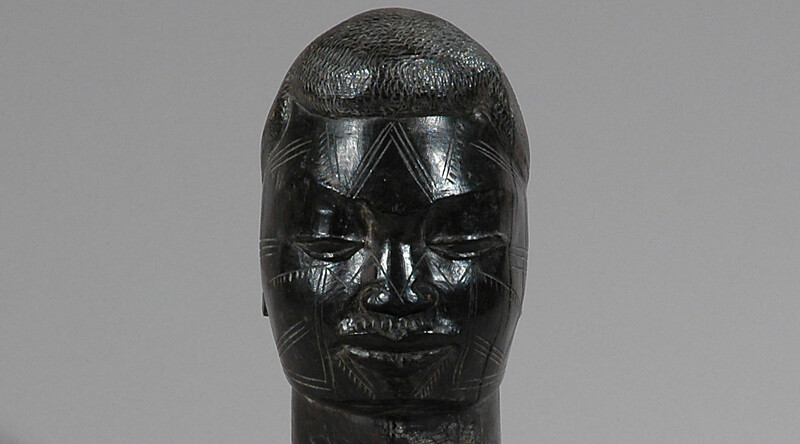 The Makonde of Tanzania and Mozambique are separarted by the Rovuma River and are culturally distinct. Immigration from Mozambique to Tanzania has resulted in a blurring of ethnic identities and a sharing of certain ideas. Because of the relative isolation of their homeland, the first contacts with Europeans did not occur until 1910, and then they were very sporadic. 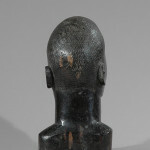 The coastal location of the Makonde, however, indicates that they were involved with Swahili slave traders for centuries. 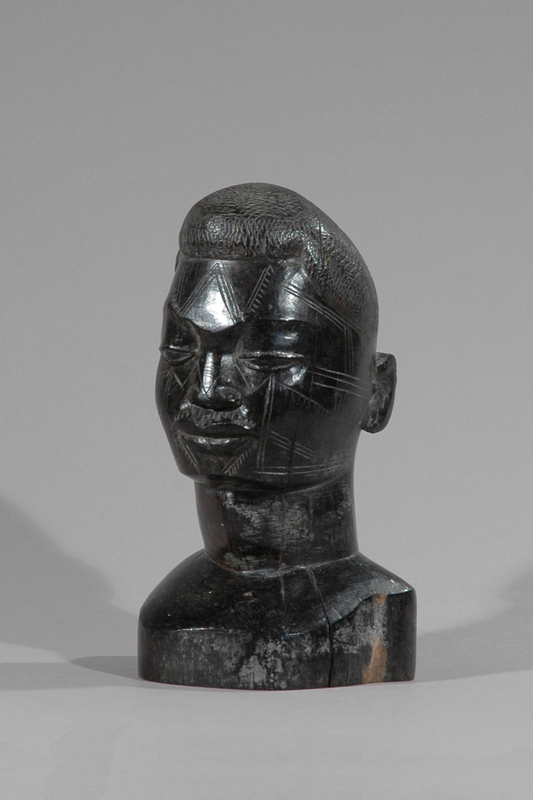 Recently, enclaves of Makonde have developed on the outskirts of Dar es Salaam and of Kambia in Kenya, although they seem to limit their interaction with outsiders, preferring to identify with their own cultural traditions. 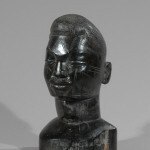 (Quote from The Art & Life in Africa website, hosted by the University of Iowa Museum of Art (UIMA)).